During the divorce process, both parties will be asked to disclose full and accurate financial information. This information includes everything from bank statements, tax records, ownership documents for collectibles and valuables, investment records, bank account statements, and more. Only by having a complete picture of a marriage’s finances, debts, holdings, etc, can a couple equitably (fairly) divide all assets belonging to the marriage. However, many times one spouse or the other primarily managed a couple’s finances. This can lead to situations where it is not really clear whether or not all of a marriage’s assets are being fully and accurately disclosed, and the “fairness” of the equitable distribution agreement comes into question. Not only can hidden or inaccurate finances affect a divorce’s equitable distribution agreement, they can also affect other financial considerations such as child support and spousal support. As with many aspects of a divorce, having an experienced and thorough divorce lawyer on your side can help you to ensure that your divorce is resolved in the most fair, financially protected, and efficient manner possible. 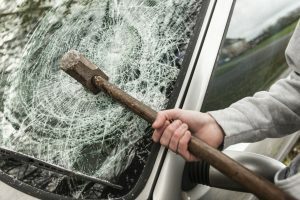 When it comes to one spouse or the other hiding assets from the divorce equitable distribution process, whether purposely or by mistake, there are a number of different things that an attorney can do in order to ensure that any marriage’s financial situation is fully understood, and that all marital assets are fairly divided between the parties. 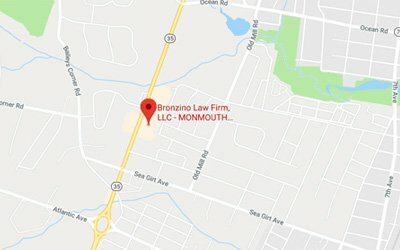 At the Bronzino Law Firm, we have extensive experience working with clients across Ocean and Monmouth County to fairly and effectively resolve even the most complex of divorces, including high-conflict custody matters, and high-net worth divorces involving complex assets such as properties, businesses, investment portfolios, and more. Call our Sea Girt office or our Brick office today at (732) 812-3102 to discuss your divorce and any concerns you may have regarding the full disclosure and fair division of your marriage’s assets in a free and confidential consultation with our legal team. Before a couple can begin to divide their assets as part of the divorce process, they must first go through the “discovery phase”. Discovery basically means that both parties and their attorneys will make formal requests for the release of various financial documents, and both parties are sworn under oath to produce accurate and full information. If you have any reason to believe that your spouse may be hiding assets from the equitable distribution process, now is the time to raise your concerns with your Wall divorce attorney. Conversely, if you have traditionally left the handling of your marriage’s finances to your spouse, you would also want to make your attorney aware of this fact during or before the discovery phase. Our attorneys can use the discovery phase of a divorce to compel the release of any number of financial documents, documents which can then be used to trace the history of income, expenses, investment, etc. done using marital assets. If assets have been hidden, our attorneys will use the discovery process to ascertain their value and current location, or, if you only suspect that assets have been hidden, we can use discovery to definitively say one way or another whether or not they have been. Finally, if we do find evidence of hidden assets, or incomplete or falsified information, we can use that knowledge to take the appropriate legal action, and ensure that your financial rights are secured moving forward. Using a Friend or Relative – Probably the most common method used for hiding marital assets from the divorce process, many times one spouse or the other will give valuables such as artwork or jewelry to a friend or family to “hang on to” until after the divorce. Similarly, actual funds, bonds, investments and more can also be put into the account of a trusted friend/family member. They may also be placed in the ownership of a “shell company”, basically a fake company made for this express purpose. Overpay the Year’s Taxes – Another common method for hiding marital assets from equitable distribution is to overpay the IRS for the year’s taxes. The money is no longer in any joint bank account, but come next year, the IRS will be awarding a substantial refund or tax break to whomever actually paid last year’s taxes. Delaying Invoice Collection, Promotion, Work Bonus – Finally, another common tactic is to delay the collection of outstanding invoices until after equitable distribution has been finalized. This is particularly common in the case of family-owned or privately-owned businesses. Alternatively, it is also common to ask that a bonus or work promotion be delayed until after the divorce. This can not only affect equitable distribution, but potentially child support and alimony settlements as well. While these are the most common methods for hiding assets from a divorce, they are not the only ways of doing so. However, with the help of an experienced attorney familiar with complex financial matters, it is possible to ascertain a complete and accurate picture of your marital finances, find all hidden assets, and ensure that your equitable distribution agreement is fair to you and equitably divides all martial assets. If either spouse is found to be attempting to hide assets from the divorce equitable distribution process, there are a number of very serious consequences which can occur. Many judges will issue sanctions and fines on such a party, and may even award a lesser portion of a marriage’s assets to said party. Perhaps even more importantly, since all discovery is given under oath, there is the very real possibility that a person falsifying or not releasing requested information with face Federal perjury charges. 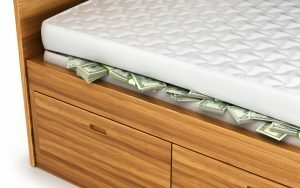 While there are any number of potential reasons to feel that you deserve to hide assets from being divided between two parties, the risk is never worth the potential reward, and if you have hidden assets from financial disclosure, it is recommended that you share this information with your divorce attorney immediately in order to mitigate the harm it can cause to you and your divorce. At the Bronzino Law Firm, we have extensive experience helping clients to resolve their divorce and all of its related issues in towns across Ocean and Monmouth County, including Wall, Sea Girt, Jackson, Spring Lake, Toms River, Asbury Park, Neptune, and the surrounding communities. Attorney Peter J. Bronzino has built his practice on the belief that, especially when it comes to family law, clients deserve and need highly attentive, communicative, and ultimately effective legal counsel. Family law issues have the potential to affect the lives of the entire family for years to come, and thus require the highest level of care and attention to detail an attorney can provide. 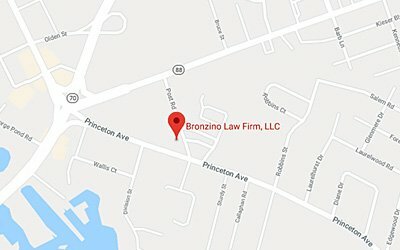 To speak with Peter Bronzino and our legal team today in a free and confidential consultation regarding your divorce, your equitable distribution agreement, your concerns regarding hidden assets, or any other divorce or family law matter, please contact us online, or through either our Sea Girt office or our Brick office at (732) 812-3102.